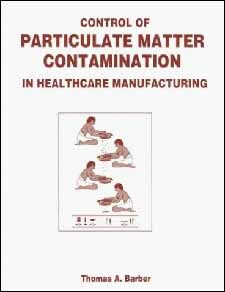 Control of Particulate Matter Contamination in Healthcare Manufacturing offers practical applications addressing the specifics of contamination, including particle origination, characterization, identification, and elimination, with a special focus on quality considerations. Written by an industry expert, this material offers a clear and concise understanding of particle populations and their control in stability, efficacy, and predictability in the manufacture of healthcare products. Complete with a full-color insert of micrographs illustrating commonly encountered particulate matter and over eighty figures, tables, and charts.